My life is driven by love: love for God, for God’s people, for God’s Word, and love for my bride of over 35 glorious years, Leslie. My greatest desire is to continually point people to Jesus, enabling them to become fully-committed followers of Christ. I have a great desire to see CFMM become a church that continually reflects Christ in every area, and is committed to living out God’s Word through evangelism, discipleship, missions, and networking in such a way that we are continually expanding God’s Kingdom through our ministry. I enjoy spending time with Leslie. Together, we love the great outdoors – hiking and spending time enjoying God’s marvelous handiwork. I love music of all genres, and I love reading. Leslie and I have three adult children, and two grandchildren. FAVORITE VERSE: "Create in me a pure heart, O God, and renew a steadfast spirit within me.” (Psalm 51:10, NIV). This verse is my constant, daily prayer to stay focused on God, enabling me to fulfill His purpose in my life. I have a passion for Praise, Prayer, the Powerful Word of God, People, and the Pastor (my beloved husband) here in Paradise. What a blessing to get to use my spiritual gifts in this capacity at Cornerstone!I’ve sung in church choirs since I was 13 years old, and have led children’s choirs for many of our over 35 years of marriage. My hobbies are teaching REFIT, hiking, and traveling to visit our 3 wonderful children and their spouses, 2 grandchildren, and family and friends. Favorite Hymn: Fanny Crosby hymns, especially “Blessed Assurance” and many, many others! 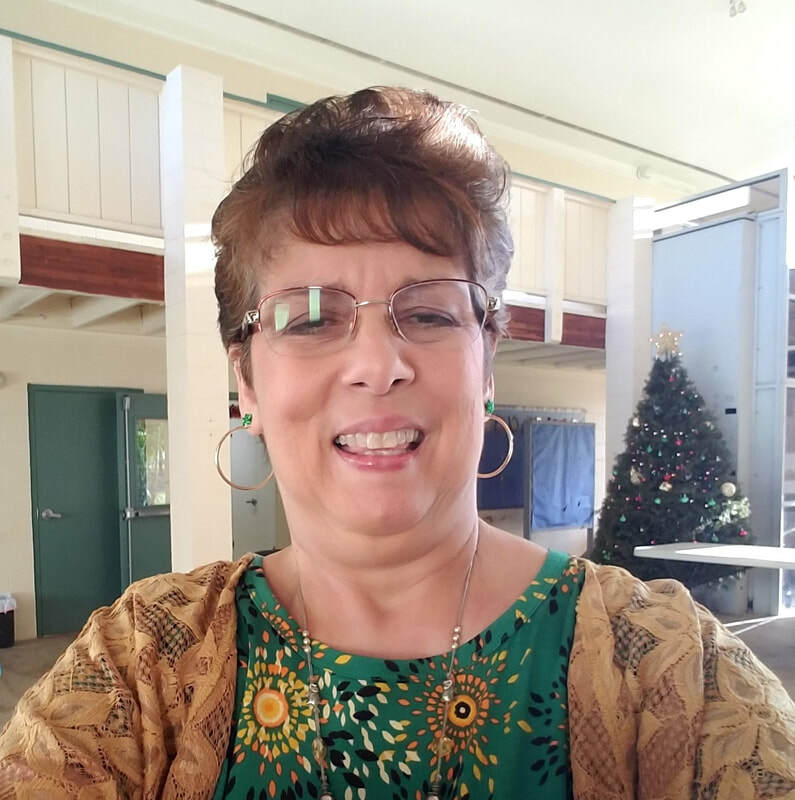 Vicky has served as the Ministry Assistant of Cornerstone Fellowship since November of 1999. Though she was born in Germany and raised in a military family, Hawaii will always be home. Vicky has a heart for helping women grow in their faith. She volunteers with a local women's ministry and also leads a women's small group on Saturday mornings. Vicky has been married for over 25 years and has two grown children. She enjoys reading and being with her family. Elizabeth Strong is originally from Ohio and enjoys living in Hawaii with her husband and son. She maintains the church financials as well as the weekday preschool financials. She enjoys coaching the weekday preschool children in sports and occasionally helping in the classrooms. She enjoys serving as the unofficial preschool photographer. Elizabeth is also involved in the preschool activities such as First Friday, Family Fun Day, Cat in the Hat Day, and other events at the church. Her hobbies include reading, spending time at the beach, and eating. She also sits on various boards throughout the community. Christina Robinson is the Preschool Director for Cornerstone Early Education Center. Christina is passionate about the education, development, and well being of young children. She has a Bachelors degree in Psychology and Christian Counseling and has worked with children for over 20 years. She has worked as a preschool teacher, preschool director, and director of a children’s sports program. Christina enjoys reading, and spending time with her 3 children.